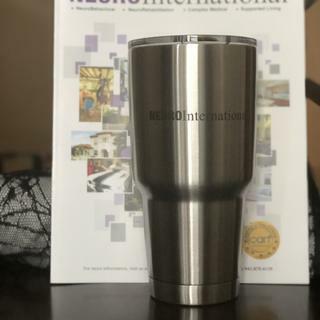 The hottest drinkware item on the market makes advertising your brand a breeze! 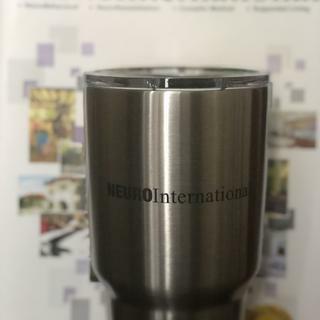 Built with quality in mind, these custom YETI® tumblers will advertise your message for years to come. The YETI® Rambler is made of 18/8 kitchen-grade stainless steel, has double-wall vacuum insulation, and a No Sweat™ Design. Laser engraving will look black due to the oxidizing process. Imprint will be on the back side opposite of the Yeti logo. Placed my personalized order a couple of weeks before Christmas and it was completed and shipped within a week. I absolutely love this company and their products. All I can say is if you're looking for a place to get promo items this is a place for you. Hi Marie, thank you for your positive review! We are so glad you are pleased with the Yetis. We strive to have a great selection and if it will stay still long enough, we'll print on it :-) We look forward to working with you again on your next project! We gave these out to employees at our holiday luncheon and they were well received. Our logo looks great on it! YETI is perfect for keeping hot drinks hot and cold drinks cold. Love the lid too!